Directory of 21 Wyoming Prairie Dog hunting lodges, guides and outfitters in Wyoming. At Bar-Nunn Hunting we offer summer prairie dog hunts for sportsmen of any age and/or shooting ability. A prairie dog hunt with us will give you the opportunity to shoot as much as you desire. We have thousands and thousands of these little varmints running around. It is not uncommon for a single person to shoot 300-500 rounds in a day. If you like lots of continuous shooting we suggest bringing 2-3 rifles so you can continue shooting while we wait for guns to cool down. If you enjoy long range sport shooting you will have a great time with our prairie dog hunts. These hunts are done after spring turkey season in late spring and summer. Prairie dogs are more active in warm weather, so this is the best time to test your shooting skills. Our prairie dog hunts are fully guided. We can provide shooting rests if needed and as always, all lodging and meals are included. Call us for prices on Wyoming prairie dog hunts. 1 to 2 day prairie dog hunts in Wyoming. Includes lodging at the Cross C Ranch cabin, all meals, and guide. There are no hidden charges. Give us a call. All of our prairie dog hunts are unguided, unless you would like to make other arrangements with us. Guided prairie dog hunts include a fulltime guide / spotter, shooting benches and sand bags, in-the-field transportation and lunch and snacks on the prairie. Call us for availability and more details. Overnight camping facilities with full hook-ups for RVs and campers are available in Dayton, Wyoming, at the Foothills Motel & Campground. Lewis Outdoor Adventures has guided varmint and prairie dog hunting during the summer months. We provide shooting tables and the guides help spot dogs. Our operations has lodging available if needed or we can recommend motels. 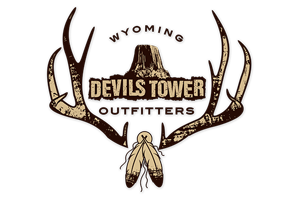 We cover a large portion of Wyoming but most hunts are near Douglas, Casper or Wheatland. Per Day Archery or Rifle hunts offered mid April through the end of August. We have numerous prairie dog towns, so you're guaranteed a fun and challenging shooting opportunity. The Shirley Basin grasslands located within Q Creek Ranch have one of the largest populations of white tail prairie dogs in the state. Sportsmen wanting to increase their marksmanship skills or enjoy an outing with friends can be accommodated with a custom-tailored prairie dog shoot. Accommodations are available for individual and corporate groups. 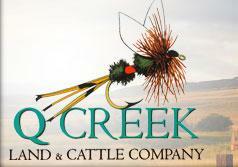 $250.00 per day per person for any combination of prairie dog hunting, fishing or horseback riding - June thru August. Located 10 miles from Sheridan, Wyoming. Each of the lodge bedrooms have a full private bathroom. There is nothing better than shooting at endless targets and only pausing to let your barrel cool down. We offer 700+ acres of prime prairie dog shooting. The best action is when the pups come up. This is usually May 15th thru June 20th each year. You will be able to shoot from dawn till dusk. We recommend bringing multiple rifles and plenty of ammo. We offer several packages for the prairie dog hunting. You can either stay in town or stay at Skyline and enjoy the wide open spaces. Each is a minimum of a two day hunt. Our guide-hunter ratio is 2-3 shooters per guide and a minimum party of two or more shooters is required. Bring your favorite varmint rifle and at least 500 rounds of ammo. One of our Ranch's has the Powder River running through it and is great for prairie dog hunts. We believe we have some of the best places in the Big Horn Mountains to hunt elk, moose, deer, antelope and prairie dogs! 28,000 private ranch in historic Medicine Bow,WY. Self guided hunts. You will be provided with a map and we will give you a tour of the ranch prior to your hunt. $250.00 per person daily includes lodging. Prairie dog hunting is addicting!! Wyoming is loaded with prairie dog towns and they need to be thinned out so its up to you to help us! Test your shooting skills and get lots of practice on these little targets. Shots can be anywhere from 50 yards to 500 yards and the action never ends. Our private ranch is located a few miles outside of Cheyenne so prairie dog hunters stay in town at a motel (not included in price). Lunch is provided with the hunt. Learn more about Timberline Outfitters Inc. Fully guided prairie dog hunts on exclusively leased, 100% private land. Expect to shoot 200-300 hundred shots per day, per hunter. Comfortable shooting benches. Groups welcome. 3 day hunt, lodging and lunch included. Call for pricing. Offering the sharp shooter hunts. One to three day hunts for prairie dog with 1000+ yard shot opportunities. Semi-guided on private land, with portable benches available. Food and lodging included. We currently offer prairie dog hunts in southeastern Wyoming where they are very abundant. Please give us a call to plan your next prairie dog trip to beautiful Wyoming. We offer varmint hunts during the months of May through early August. The day involves 6–8 hours of shooting, beginning at 8:00 until 5:00. We'll take a break at mid-day for lunch. Bench rests are provided. Be sure to bring at least 150 to 500 rounds a day. Many clients will have ammo shipped to the ranch prior to their arrival. You stay at a motel and are responsible for all your meals. Learn more about WyCon Safari, Inc.
Hunts are semi guided, we will get you located on the property and show you the prairie dog towns. You will need your own transportation, preferably with four wheel drive. No license required to hunt Prairie Dogs or Varmints. You will need your own transportation, preferably with four wheel drive. Single day prairie dog hunts available. Food and lodging included. We can make arrangements to pick you up at the Sheridan, Wyoming airport if you plan to fly. © Copyright 2019 Ultimate Outdoor Network & Ultimate Prairie Dog Hunting. Website Design by 3plains.